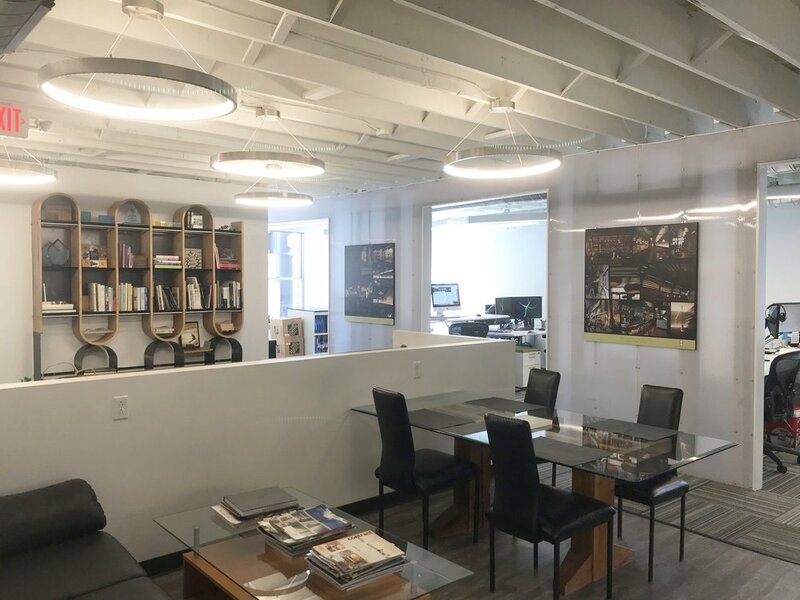 Our architects ensure that the entire interior space is aesthetically-pleasing and optimized for use and comfort - whether for tenant fit-outs, client build-outs, retail businesses, corporate offices, restaurants, higher education spaces, or homes. Our interior designers use space, architectural elements, natural and artificial light, furniture, and materials and finishes to create spaces that – from our deep experience - promote well-being and proper function for our clients. 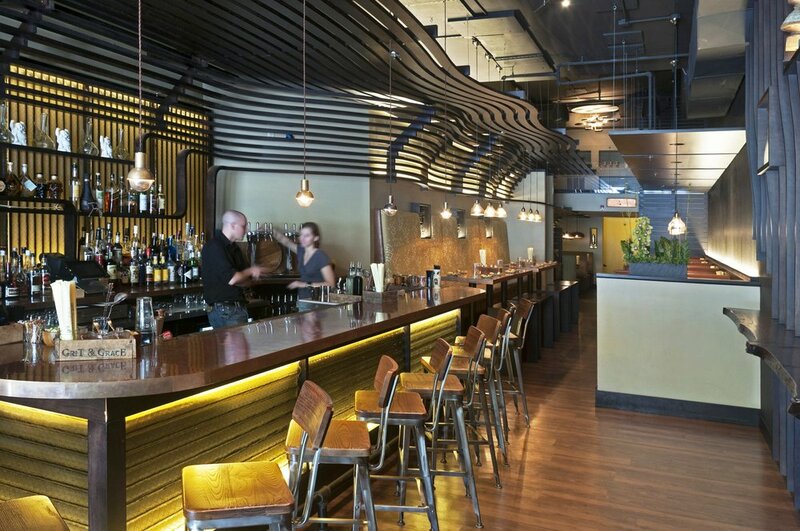 Please see the gallery below for a sampling of our interior projects. Our fees can be adapted to your project needs and can be fixed-rate, hourly, a percentage of project cost, per-square-foot, or retail rates. Using client-driven data, we focus on creating quick test-fits for our office building clients. Depending on the size of the space and the complexity of the requirement, most often we are able to create a review plan with a 24-hour turnaround. These quick layouts show prospective clients critical functional relationships within groups and the office as a whole, as well as the preferred office or workstation size by job description. The space plan will also include furnishings, all ancillary spaces, and distinguish between client-facing and general office space. For the prospective tenant, these space plans allow you to quickly understand how well the space accommodates your needs and how well it supports your ideal adjacencies. For the landlord, these plans provide the same information and, with selected finishes, what the potential tenant improvement costs may be. Generally, in a very short period of time, a well considered space plan provides everyone in the transaction with a level of comfort about the suitability, cost, and quality of the proposed space. The layout of industrial processes, flex, and warehouse spaces flow from the same type of considerations as office space planning; that is, the amount of space required to accommodate a piece of equipment, the ideal working relationship between each piece of equipment, and how the equipment layout supports the process, and finally, how does each process relate to every other process and the enterprise as a whole. Whether it is in fabrication, material handling, or a commercial kitchen, the same principal applies. If you can produce a widget, inventory / repack product, or prepare a meal, the more labor mixed with the required process, the more expensive the end product becomes. Planning allows our clients to feel comfortable that they have the most efficient layout possible for their processes and spaces given the existing constraints or size. AS-BUILTS We survey existing conditions and make field measurements of a space or the entire building. BOMA After as-builts, we then use the measurements to calculate the true BOMA for the building. PROGRAMMING. We gather information from our client and develop a program document spreadsheet to help determine how much space you will need. 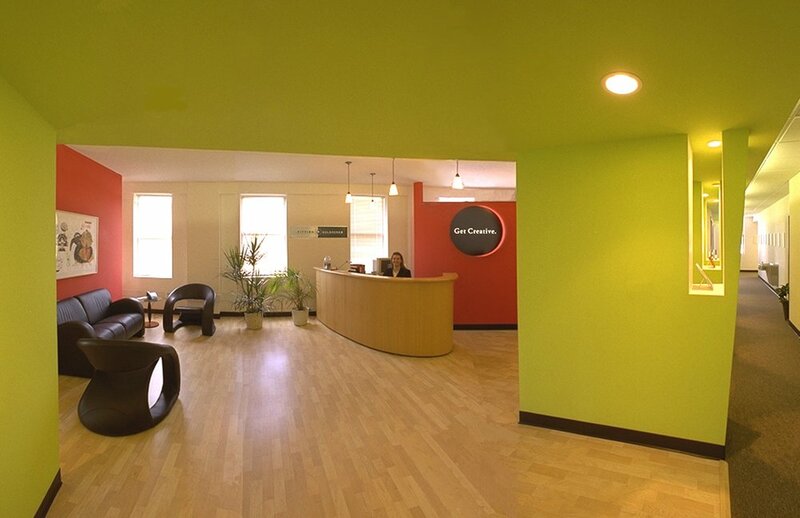 COLOR MARKETING PLANS We can provide plans for the entire building with hatches or colors corresponding with a lease expiration legend or vacancies to help property managers or internal staff keep the suites organized. INVENTORY SURVEYS We recommend re-use or replacement of furnishings based on inventory of existing furnishings and equipment. CONCEPTUAL DESIGN We can create an overall design of your space, including every interior aspect. FURNITURE AND FINSIH SPECIFICATIONS We select furniture, finishes, and millwork in your desired style to help finish your space. 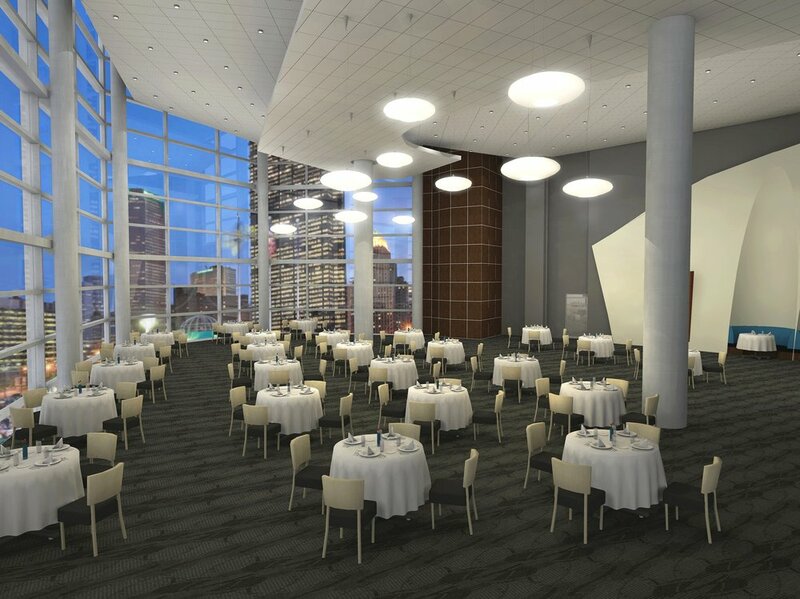 COLOR RENDERINGS We create an accurate, detailed picture of how your spaces will look using color in digital format. CONSTRUCTION DOCUMENTS We prepare detailed documents for construction, pricing, and permits, ensuring that the designs adhere to national and local codes. BIDDING We analyze bids for construction, finishes, and furnishings contracts to help provide you with finalized, detailed bids. PERMIT EXPEDITING. We will coordinate and acquire the necessary permits to get your spaces built. CONSTRUCTION ADMINISTRATION We monitor contractors and subcontractors throughout the construction process to ensure that everything complies with the original specifications. MOVE COORDINATION. Our team can oversee the move of your project, including phasing, keyed floor plans, and move supervision to ensure a smooth transition. ARTWORK COORDINATION. We can help choose artwork and accessories that complement your new space. WAYFINDING AND SIGNAGE We can provide a cohesive interior signage and wayfinding design to complement the interior design. NOTE: A 2016 Global Report by the largest office furniture manufacturer in the world, revealed that the work environment is a leading factor in productivity, job satisfaction and retention. We can help define your needs and create the space that’s best for you.